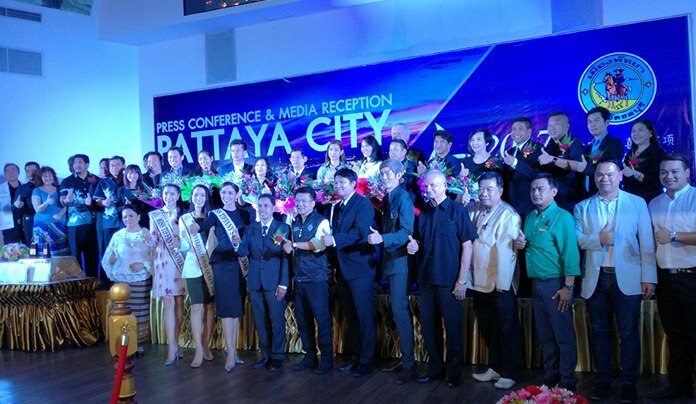 Winners gather on stage as Pattaya again was chosen the leading Thailand destination for Chinese tourists and seven Chonburi attractions were picked favorites in online survey by a large Chinese website. Pattaya again was chosen the leading Thailand destination for Chinese tourists and seven Chonburi attractions were picked favorites in online survey by a large Chinese website. The Pattaya Floating Market celebrated its win as Best Tourist Attraction in the Chinese People’s Choice Awards, which were announced by Tourism and Sports Minister Kobkarn Wattanavrangkul and Deputy Prime Minister Tanasak Patimapragorn June 12 in Bangkok. The floating market won the same honor in 2015 in the online survey created by the Tourism Authority of Thailand, duty-free retailer King Power International Co., SINA Corp. Jiaranai Entertainment Co. and Weibo, a Chinese website with more than 600 million members. Travelers were asked to vote on 14 categories of products and services for its “Best of Thailand Awards Voted by Chinese Tourists” survey. Travelers were asked to vote on hotels, restaurants, department stores, Thai fruits, spas, golf courses and other attractions. People could vote daily and 3.7 million votes were cast. In Chonburi eight places were ranked among the top ten: Cape Dara Resort, Alcazar Show, Nong Nooch Tropical Garden, the Tiffany Show, Sriracha Tiger Zoo, and Siam Country Club Plantation Course. 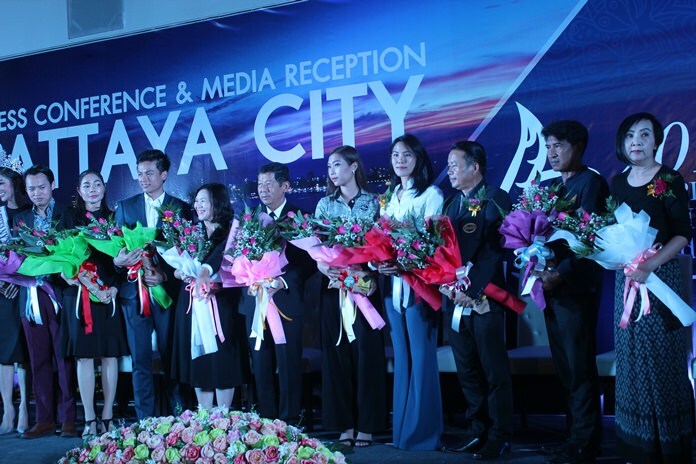 At the July 5 celebration at the floating market, Mayor Anan Charoenchasri said it was great that Pattaya remains one of the best places and most popular amongst Chinese tourists. It is not just the locations mentioned, he said, but all sectors in terms of services, facilities and others that made the achievement possible.